Above: Click to search an interactive database of the past three years of complaints filed with the city. Perfect weather. Fish tacos. Craft beer. What’s there to complain about? 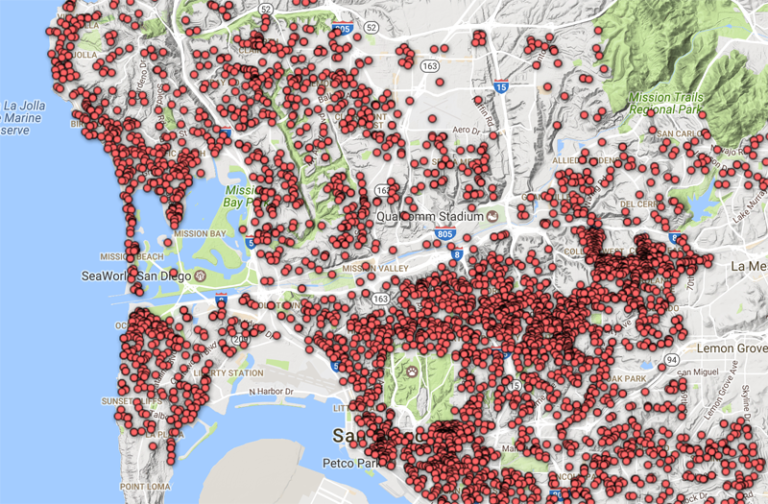 Over the past three years San Diegans have filed more than 15,000 complaints with the city alleging code violations for things like unpermitted buildings, graffiti, hoarders and barking dogs. So we mapped them all for you to see. The most complaints, by volume, each year for the past three years? Unpermitted buildings. Housed within the Development Services Department, code enforcement is responsible for receiving, processing, investigating and acting on these complaints, which totaled more than 17,500 since January 2014 (when you add in those the city initiated on its own). The code enforcement division runs on an annual budget of about $7 million and employs 70 people. The biggest increase in complaints, percentage-wise, is infestations: 170 people — mostly in City Heights and downtown — alerted the city to bedbugs and roaches this year, up from just one complaint in 2014. Why? Because on Jan. 1, 2014, California changed the part of the Health and Safety Code that deals with substandard conditions to allow code enforcement officers to make a determination on infestation — in the past, the County Environmental Health Department received those requests. In January, the state added another amendment to the code that allows enforcement of mold complaints, which total 90 so far this year. Short term vacation rental complaints in 2016. Click for the interactive map. “So the mold and infestation has represented a large increase in the types of complaints we’re getting about substandard housing,” Richmond said. The second-largest increase by percentage in the past three years was complaints about short-term vacation rentals. That should come as no surprise to those who’ve been following the debate over whether homeowners should be allowed to rent their homes to travelers. 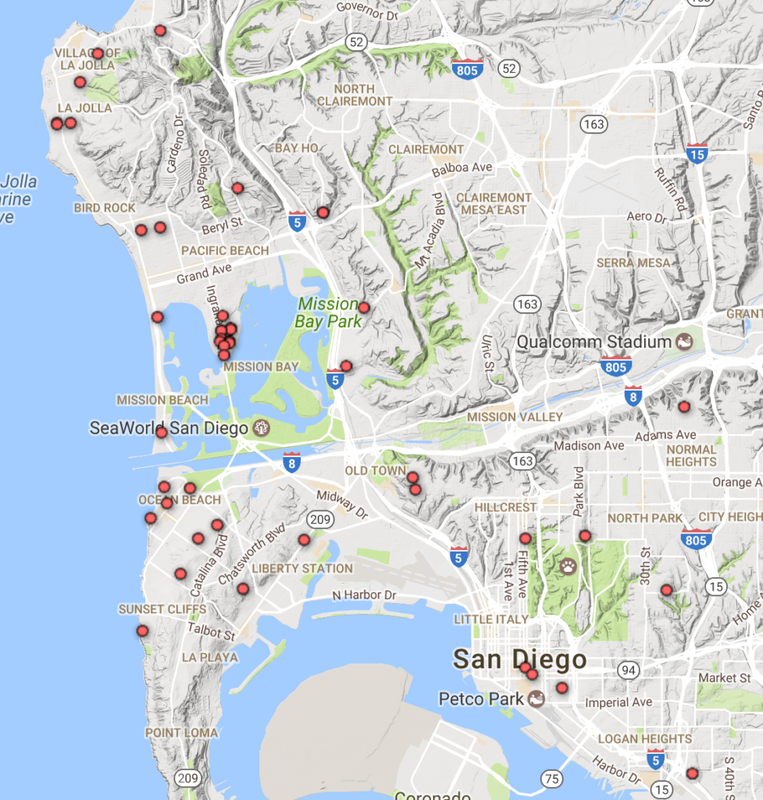 San Diego City Council members in November voted against prohibiting these short-term rentals in neighborhoods zoned for single-family homes.